Heart of Thorns, the upcoming expansion for Guild Wars 2, is introducing the brand new revenant profession. 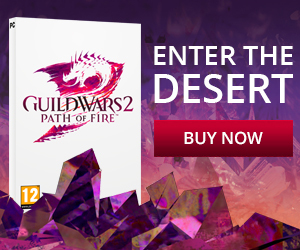 Over the past few months, ArenaNet has been drip feeding fans of the game information about the revenants different ‘legends’. These are interesting customisation options for the player which, simply put, boil down to the different specialisation for revenants. We’ve already had blog posts on the Ventari legend (support/healing), Mallyx (conditions) and Jalis (support/protection), and now we’ve got some information on the final legend, Shiro (DPS). Shiro is a name that Guild Wars 1 players will certainly remember, as he’s the main antagonist who you spend the majority of your Factions playthrough working towards defeating. And if you remember how awesome and hard the final boss fight was against him, then you know how awesome it is that this is the guy they’re drawing inspiration from. The weapons of choice for this legend are swords in both hands, so it’s fair to assume that you’ll be doing a lot of slashing. Add onto this sinister themes and assassin like maneuverability, and you have Shiro; the revenant’s physical damage based specialisation. ArenaNet have said ‘Slashing, Mist-manipulating attacks, and pure destruction are what the sword set is all about ‘. The move set is designed to fit the assassin-like theme of Shiro. One ability that’s been revealed is called ‘Rift Slash’. This ability is designed to slash all foes in front of the player, damaging them and slicing an unstable mist rift into them. After a couple of seconds the rift will explode and damage any nearby foes. ‘Unrelenting Assault’ is another interesting ability, which when cast will unleash an attack on all nearby foes, blinking between them and dealing damage on each blink. This one sounds both incredibly useful, especially if you become un-targetable during, and also just plain awesome. The ability ‘Enchanted Daggers’, in my opinion, sums up the legend’s playstyle most of all. When activated, enchanted daggers will strike at your foe as you attack, siphoning life from them; this was clearly designed with a hyper aggressive play-style in mind, as the more damage you do and the more you attack the more health you will get back. These abilities described (which you can find here) fit perfectly to the style of the revenant and most importantly to the style of Shiro, a character who in Guild Wars 1 I seriously loved to hate. And this excites me. The last specialisation to be revealved for the revenant will be the elite specialisation, which, judging by the other specialisations announced, is going to be an exciting one. 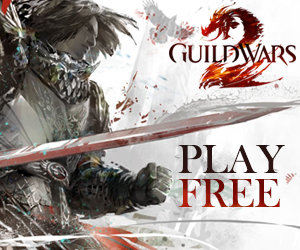 ArenaNet will offer a first look at the legend on the official Guild Wars 2 Twitch channel on today, July 17 at 12pm PDT.